All things being equal, you want to see the Sistine Chapel frescoes in the Sistine Chapel. But the Westfield Mall folks are exhibiting Michelangelo's work in "near original" size at Westfield WTC from June 23-July 23. Why would Westfield organize such an event? No earthly idea, but tickets start at $15 and there will be plenty of MichelMerch for sale. The Met is readying its largest-ever Michelangelo exhibition for a November opening. Titled Michelangelo: Divine Draftsman and Designer, the show will include 150 drawings and three marble sculptures. On June 30, Taschen publishes a 'fresh' version of Michelangelo: The Complete Paintings, Sculptures and Architecture by U of Leipzig professor Frank Zöllner. 796 pages! 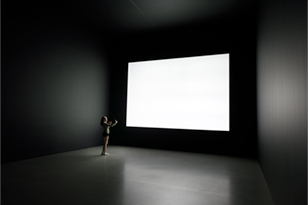 Michelangelo and the Viewer in His Time by Bernadine Barnes considers the artist's work as site- and purpose-specific, creations designed for a defined context. 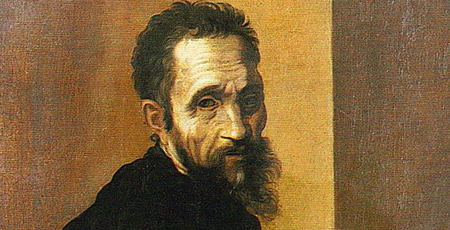 Through June 25 at London's National Gallery, Michelangelo & Sebastiano. If you can't get there, you can peruse the accompanying book. Meanwhile, in Chicago, artist Harmonia Rosales has apparently caused an uproar by reconsidering Michelangelo's The Creation of Adam as The Creation of God, with God depicted as a black woman. We love it.